Python Developers Survey 2017 – Results #pythondevsurvey2017 @thepsf « Adafruit Industries – Makers, hackers, artists, designers and engineers! Python Developers Survey 2017 – Results. At the very end of 2017, the Python Software Foundation together with JetBrains conducted an official Python Developers Survey. 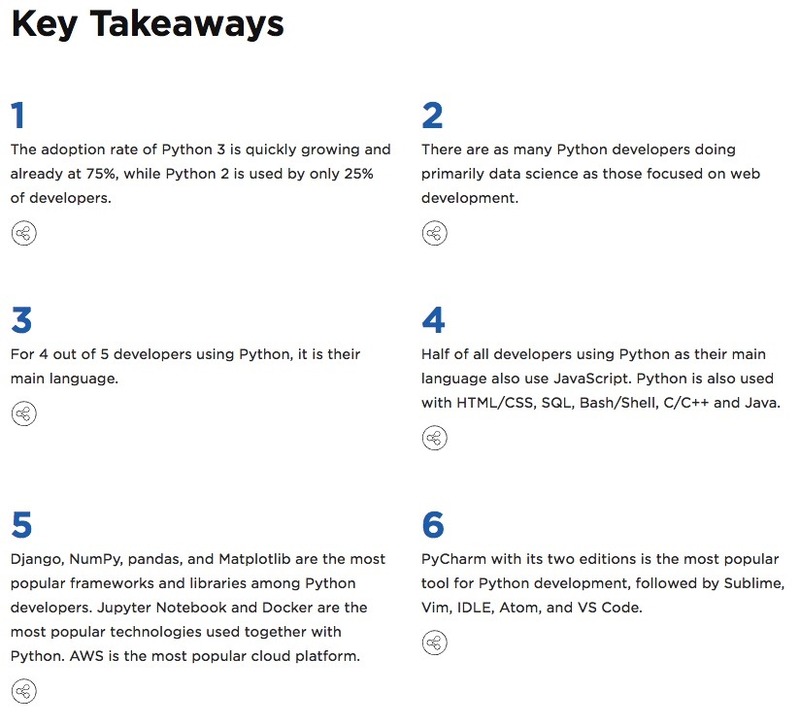 We set out to identify the latest trends and gather insight into how the Python development world looks today. Over 9,500 developers from almost 150 different countries participated to help us map out an accurate landscape of the Python community.